Last year, the state of Texas, which has a population of 28 million (second only to California’s 37 plus million), granted 3 vertically integrated licenses from a pool of nearly 50 applicants. Cansortium Texas was licensed on September 1, 2017; Compassionate Cultivation was licensed on October 31, 2017; and Surterra Texas was licensed on December 15, 2017. The Lone Star State’s Compassionate Use Program (CUP), administered by the Texas Department of Public Safety (DPS), was designed to create a secure registry of physicians who treat epilepsy for the purpose of prescribing low-THC cannabis to patients who have been diagnosed with intractable epilepsy. In a conservative state like Texas, where a full-blown medical or recreation marijuana program could take years to come to fruition, the three licensees will need patience, a well-financed operating budget and the skills to build a program that will lead to positive legislative reaction and action in order to add medical conditions and expand the program from CBD rich solutions to heavier ratios of THC included in products in the years to come. Native son Morris Denton, CEO of Compassionate Cultivation (CC), and his 4 founding partners are prepared to do just that, and as the only in-state domiciled licensee, they are determined to build their business the right way and lead the growth and expansion of the CUP program to the promised land. CBE caught up with Denton last week and learned a great deal about the issues these 3 licensees face and the plans that Denton and his team have in navigating the logistics involved in serving product to patients suffering from intractable epilepsy to any area within the largest geographic state in the continental US and preparing for the eventual need to scale as the program inevitably expands in years to come. Born in Austin, Texas, Denton brings a good bit of corporate world and start-up experience to the table. He has held top marketing jobs with global companies and run smaller creative/communication agencies. During his pre-cannabis career, Denton has had success building and growing several businesses and hundreds of products. His founding partners at CC also bring a variety of experiences and best practices that add to the talent mix. John and Mike Rubin, who run the Rubin Law Firm in Austin, have a strong background dealing with compliance and regulatory work that they bring to the team. Burke Edwards has years of experience in the Oil & Gas business and serves as managing partner at BTE Energy, chief operating officer at Texas Growth Fund Regional Center and president at Windy Hill Water Company. The CC founding fathers came together around the mutual desire to build a cannabis-based business that would be the gold standard in the great state of Texas. They had seen the impact of the cannabis economy and were determined to execute to be part of the transformational industry recognizing that this would be a long-term investment and build in the conservative state of Texas. After spending a year analyzing the opportunity and doing their due diligence, the team recognized that the original application would require a well-capitalized and long-term commitment (a full-blown medical marijuana program was still years off at the time applications were filed). With that in mind, they were one of 43 applicants for a license that only allowed production of high CBD, minimal THC product to serve the limited population of sufferers of intractable epilepsy (roughly 90,000 potential patients) spread across the vast state but with a concentration in the 4 main metro areas in Texas, Austin, Dallas, Houston and San Antonio. Applicants had to have the capital to sustain at least 2 years of losses as the program ramped up, CC raised between $5-10 million to meet the capitalization requirements to build their facility which is in Manchaca, TX ten miles southwest of the state capital, Austin. In order for a patient to qualify for the program, they have to be under care for the disease, tried and failed two other forms of treatment and have validation from a second doctor. Once receiving their prescription, patients can purchase their medication from any of the 3 licensees (2 in Austin metro and one in Schulenberg). All doctors prescribing the cannabis treatment have to be registered with the Compassionate Use Registry of Texas (CURT) System, be board certified and meet minimum epilepsy practice requirements. According to CBE’s count, there are only some 40 doctors registered for the program currently. After completing the rigorous application, CC submitted 300 plus pages that were fast-tracked over 3 months to meet the state’s short window and were rewarded the second vertically integrated license in October of 2017. The facility is about 7,200 sf and accommodates cultivation (2,500 SF), extraction (2,500 SF) with the balance of the space accommodating administration, shipping and a small dispensary due to the limited product mix and patient counts out of the gate. CC runs a lean operation with a current head count of 10 full-time employees, as product development ramps up, they expect to hire additional extraction and testing personnel and drivers to serve patients throughout the stat. Paramount to the CC strategic plan was attracting the talent that represented best in class operations from other industries to run the vertically integrated operation. Dr. Karen Keough, who received her medical degree from Johns Hopkins, was brought in to assist in product development based on science and pharmaceutical best practices. She is a board-certified pediatric neurologist who specializes in treating intractable epilepsy at Child Neurology Consultants of Austin. James Brubaker, Head of Security, Compliance and IP, joined the team after 33 years at The Texas Department of Public Safety and Taylor Kirk, Director of Cultivation, is an experienced agronomist who was running a 500 acre turf grass farm. Xabis, a professional outsourcing firm servicing the cannabis industry, manages the extraction and lab testing areas of the CC operation under the leadership of Garrett Nicodemus. 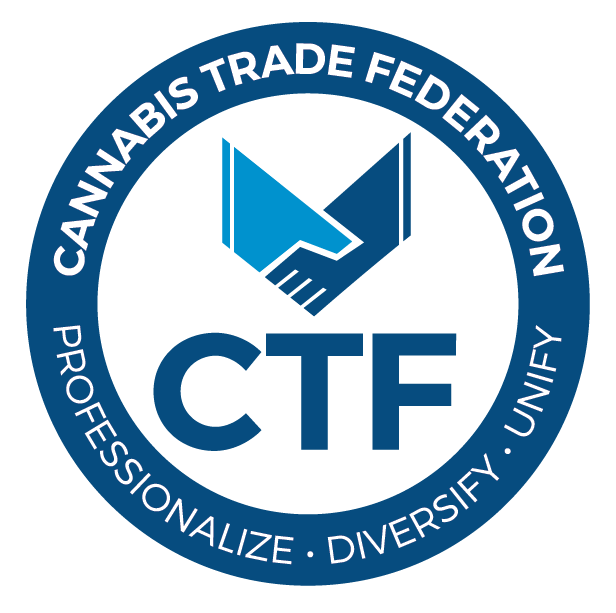 From day one, a key CC best practice has been to educate and inform the influencers and legislators alike that will ultimately expand the Texas program by providing totally transparent access to address the skeptics and any fence-sitter issues about the new facility, operations and the professionalism behind it. The process oriented and disciplined approach that the founders have established since day one reflects a “do it the right way” attitude since so much is at stake for patients and the industry in the state. CC currently grows five (5) different High CBD/low THC strains which by law must be at least 99.5% CBD. One strain is derived from a hemp plant and the balance from marijuana strains. All harvested plant product is lab tested. As part of CC’s commitment to transparency, test results are publicly available. Currently, CC produces one product, a 20 to 1 CBD to THC ratio sublingual tincture after the oils are extracted with an Isolated Extraction supercritical CO2 system to create consistent and precisely formulated product that is available with either a safflower or coconut MCT oil base in 3 different sizes and flavors. As a good corporate citizen, CC has partnered with Texas Epilepsy Foundation affiliates to create the Compassionate Use Patient Assistance Program (CUPAP), a need-based funding initiative, with an initial commitment of $10,000 for the effort. Under Dr. Keough’s guidance, the team plans on introducing additional products and delivery systems in the next 3 to 4 months including a vape product for older demographic patients. Because of the massive geographic area that CC’s patients reside, logistics and product delivery have been a key part of the business plan. They bought a couple of Toyota Prius’ outfitted to meet DPS standards and rotate delivery dates to key population centers like Dallas, Houston and San Antonio each week, as well as make individual deliveries to patients in far reaching areas of the state like Brownsville or way up north in the Texas panhandle. He spends 1/3 of his time at the facility making sure his leadership team and the employees have what they need to be successful. The balance of his time is spent educating lobbyists and legislators. Additionally, Denton focusses the team on running an integrity based and transparent and compliant operation, producing the highest quality and consistent medicine to serve the growing patient base and how they can advocate and expand the cannabis legalization effort in Texas. He stresses that quality and the customer service equation are paramount to CC’s long-term success. The state legislature is sensitive to the financial stress associated with financing and operating a limited program, after all, Minnesota and New York, with a broader list of qualifying conditions, have already seen companies struggle and ownership turnover. That said, building a self-sustaining business model is crucial. His financial management philosophy is on point as well, CC needs to make $1 spend like $5 dollars for most general costs and on the marketing front, get $10 dollars’ worth of value for every dollar spent. To date the plan that the founders put in place is progressing well. If they could do it all over again, Denton wishes they had more time than the 4 months to execute that the state granted to the license awardees. Provisional licenses were granted May 1, 2017 and the state required that the facility had to be operational by September 1. It forced the team to make some compromises with a few decisions, but, as they say, hindsight is always 20/20. With more time, Denton concedes that they would have done a few things differently that likely would have made a big impact. The CC team’s short-term reward has been the life changing experience of improving of the lives of qualifying patients in need. But at the end of the day, good solid management and prescribing to best practices will be required to ultimately drive profitability for the team’s investors as it weathers the slow build of Texas Medical Marijuana program. Onward to the Promised Land! Market Strategy/Goal: Compassionate Cultivation strives to be the gold standard for cannabis-based businesses. We will achieve this goal by setting and maintaining the highest quality standards in our products, as well as through unparalleled customer service and support. We provide patients top-quality, consistent CBD medicine with transparency and integrity. We engage in extensive community outreach, make product test results publicly available and have initiated a fundraising partnership with Epilepsy Foundation affiliates to assist patients, among other efforts.